I love being able to spend significant amounts of time in a foreign country and really dig into what makes it tick. At the same time, however, the more you become familiar with the people, surroundings, customs and culture, you lose a little bit of that awe, magic and surprise that you felt the first time you visited. Many things about Thailand that used to be new, strange and different to me have now become commonplace. I don’t do a double take when I see a family of four on a motorbike, I regularly eat grilled pork skewers and rice for breakfast, and I don’t find it odd that all students, from preschool to college, where uniforms. After recently speaking with some newbie travelers though I started to remember about some of the things that confused and caught me off guard when I first came. 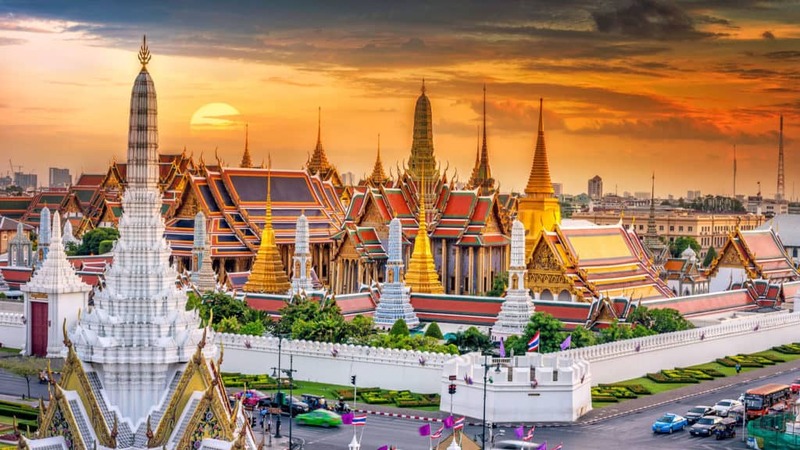 Of course you know that Thailand is a tropical country in Southeast Asia (or at least I hope so), but the heat – and humidity – here still may surprise you. The country has three seasons technically known as the ‘cold’ season, the rainy season, and the hot season, but in actuality it’s more like hot, hot and rainy, and hotter. Even in the northern hills where temperatures tend to be cooler, especially in the winter months, you can still see highs during the day in the low 90s. Be waiting at a Sky Train station at 8:00 a.m. and you’ll start notice everyone standing up. At 8:00 a.m. and 6:00 p.m. everyday, the national anthem is played throughout the country in schools and pubic places along with across all television and radio stations. If you’re in a place where the anthem will be played, stand up silently and respectfully with everyone else. Thailand may have a party reputation, but there are actually a surprising number of times when the sale of alcohol is forbidden at stores, and sometimes even bars, such as important Buddhist holidays, political elections and everyday between midnight and 11:00 a.m. then again 2:00 p.m. to 5:00 p.m. Plan your beverage purchasing carefully. You can get most made to order dishes on the street for between $1-2 USD. Snacks and treats will be around the same or even less, along with street side sweet coffees and teas. Head to an area around a school, especially in the morning or late afternoon when classes get out, and you’ll find even cheaper eats. Of course, while the street food should be a staple during your stay, spend a little more to test out some of the country’s unique and trendy cafes, restaurants and bars – they’re delicious too! Between visiting traditional Thai temples to indulging in the country’s famous spas and massage shops, and even smaller guest houses, you’ll be taking your shoes off. The country-wide practice can be seen everywhere from private homes to even students in school who take their shoes off and line them up outside before going into the classroom. With this in mind, make sure to bring shoes that are good for walking but that can also be slipped off easily as you’ll quickly become irritated if you have to sit down to untie and retie your shoes several times in an afternoon. Along with street food you may even spot an elephant on the street – though don’t get too excited. Unfortunately, even though it’s illegal, some people still take baby elephants to the streets to beg for food and money. Though it may be tempting to feed a baby elephant a banana, it’s not a good practice and best not to support it. Thai food is undeniably delicious (and fresh, and cheap) but it still has a dirty little secret. Inside many of those plates of street side phad thai are a couple heaping spoons of oil, sugar and MSG. While you can try asking for it to not be added, it’s usually just best to shut up and enjoy your meal. If you going to one of the massive, modern movie theaters in Bangkok’s shopping centers, get ready to stand up before the movie starts. After the credits and right before the film begins they play the King’s song and all are expected to stand up and wait quietly until it’s finished. Have you been to Thailand before? What surprised you during your first trip? The way people seem to really, actually revere the King is surprising (though who knows how they actually feel?? ), especially with the songs every day, before films, etc. It’s fun to walk around Bangkok and see all the different pictures of him and his family, as sometimes they’re doing things a bit different—holding animals or musical instruments, bird watching, etc—related to whatever type of business or organisation is posting his picture. list were very nice and informative, and it certainly would you feel well when you visit our country Indonesia,, Have to Indonesia Alana ? like Bali , Bandung, Jogya ? 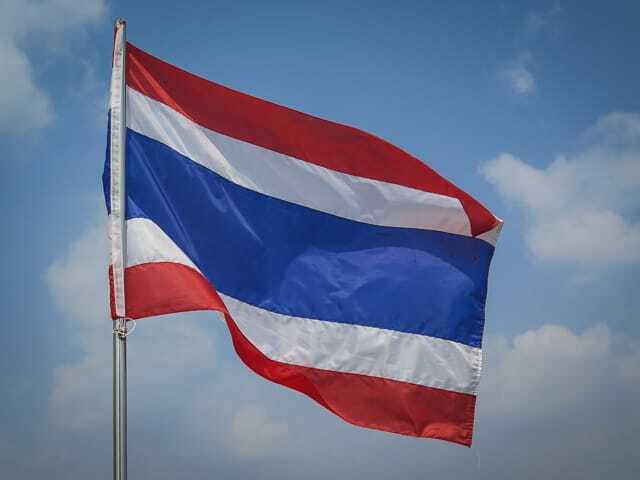 But for me personally, know tahiland country because it is one of the Indonesian football rival., And when I visited the country, the first thing I would do is meet ball players named Kosin and Suchao, and of course vacation in pattaya .. ..
Wow so much I didn’t know about Thailand, thanks will keep in mind for next time I visit. I’ve never had the opportunity to travel overseas…at least not yet. But Thailand is definitely on my bucket list. Thanks so much for sharing! , but am totally hoping to change that in the coming year or so. Seems like a nice place for a vacation. Nice post and it’s really informative! Thailand is an awesome destination.